We provide 7 days POS support! Call us for free quote today! 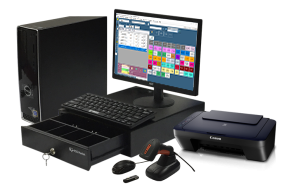 Optical POS system comes bundled packed with features that will meet your business need. 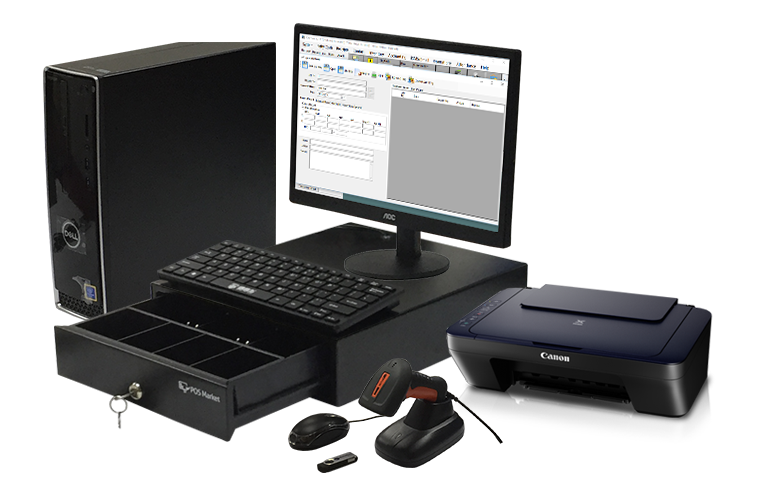 The general POS system added with the unique features of Job sheets, Attachment, Multiple Options with add-ons, Pickup Date & Warranty Date Alert, Promotional Items and Accept Deposit Payment can ensure your business run smoothly. More information on each of the feature listed as below. 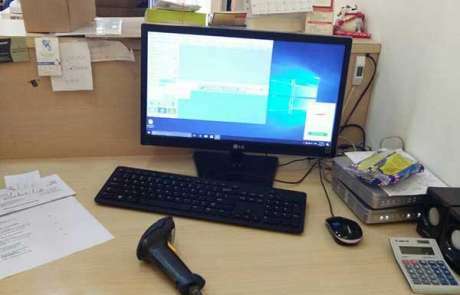 Sistem POS Optik dari POSMarket adalah sistem POS yang penuh dengan ciri-ciri terkini bagi memudahkan perniagaan kedai optik anda. Penambahan kemudahan seperti kertas kerja, lampiran,pilihan pelbagai dengan tambahan, kemaskini tarikh & jaminan, promosi dan bayaran deposit diterima kesemuanya dapat memastikan perniagaan anda berjalan dengan lancar. Maklumat lanjut mengenai setiap ciri yang disenaraikan adalah seperti di bawah. 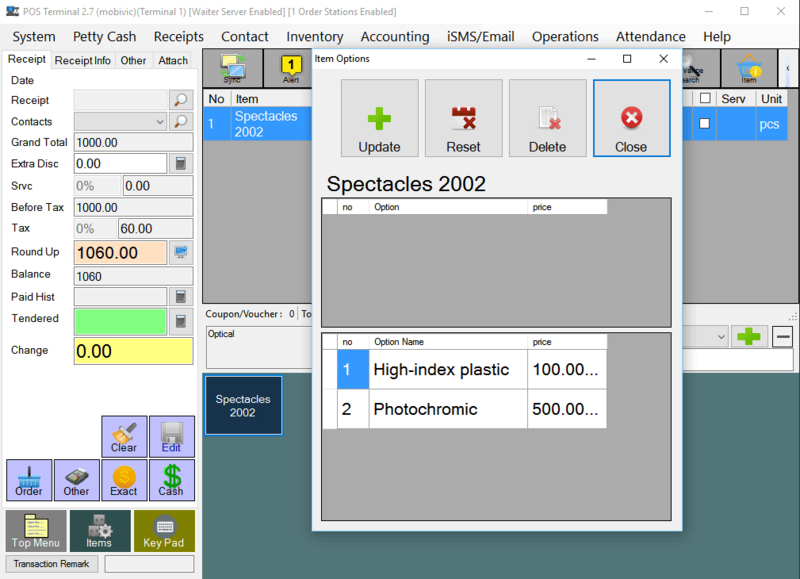 Using our POS system, you are allowed setup a promotion period for the items in your optical store. When a customer purchase that item, the system will automatically charge the customer with pre-defined promotion price. 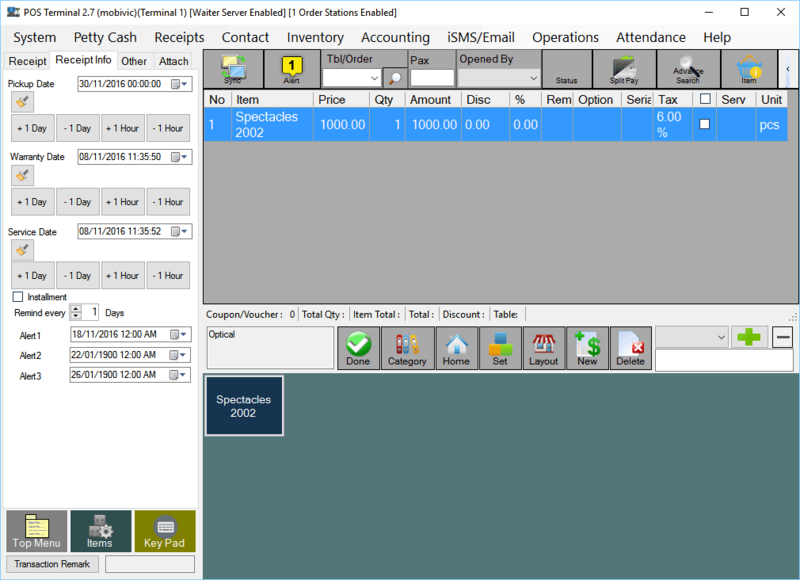 Our POS system‘s “Attachment” feature helps you to record customer information in the receipt for bookkeeping purposes. 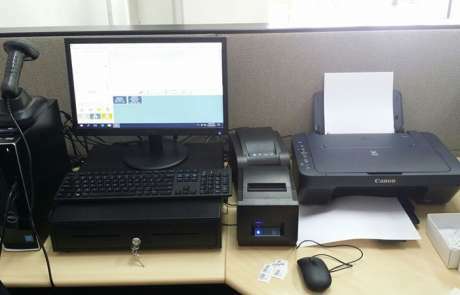 You can also print out the attachment info for your customer to keep as their reference such as the customer’s previous eye vision readings or eye care requirements. 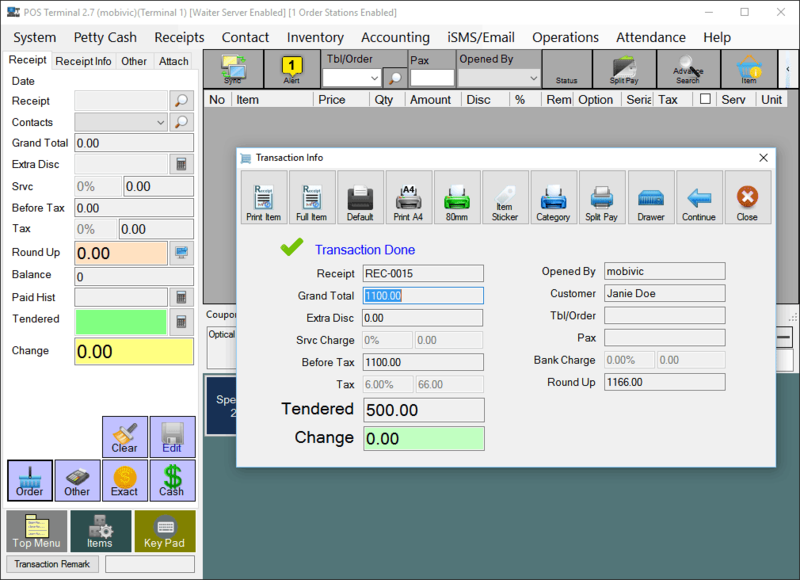 In our POS system, an item can have multiple additional options attached to it. For example, a customer purchases a spectacles with add-ons such as transition lens, multi-coated lens, high-index lens and etc. 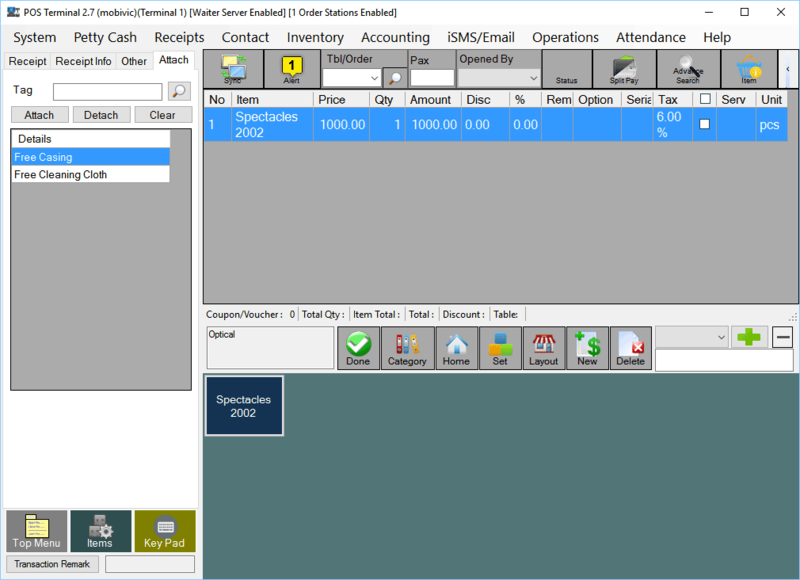 Our POS system will help you record the customer various options add-ons for future references. 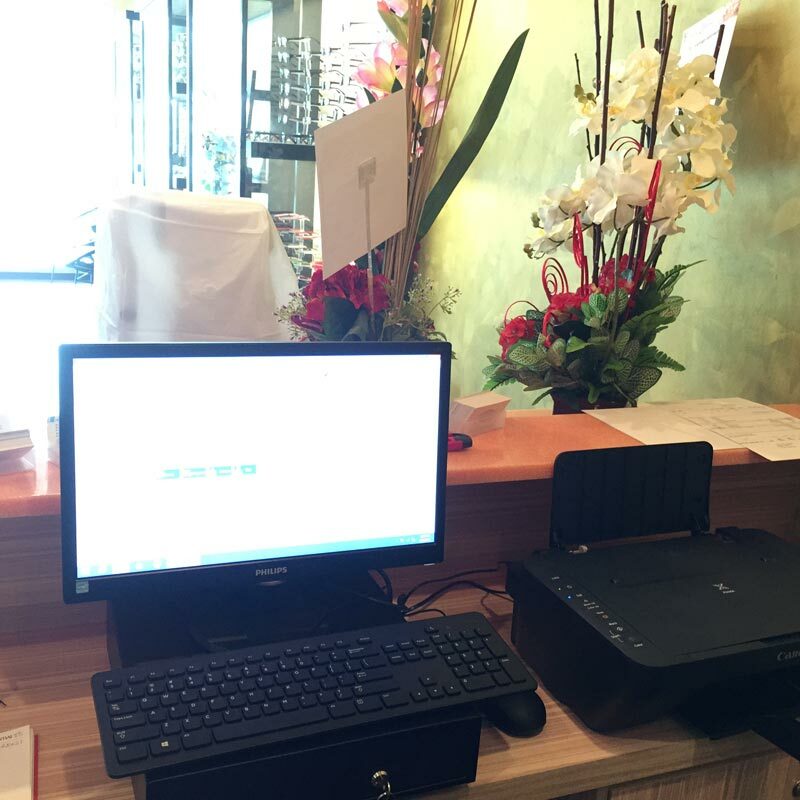 Using BMO POS system for your optical store, you can set pick-up time and date for your customer to remind them and you when to pick up their glasses. Our POS system will alert you when the pick-up due date is nearby. Besides that, your optical store have the option to set the warranty date for customer’s glasses. 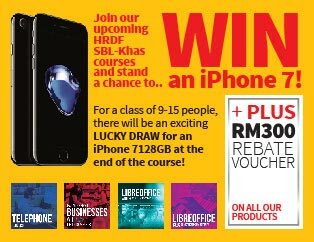 It is a common practice whereby customers have to pay a certain amount of deposit for their spectacles before they make full payment of the receipt. 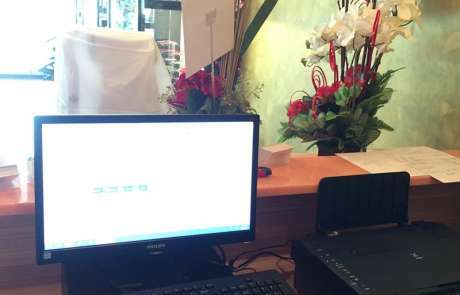 Our POS system, are capable of accepting such deposit transactions from customers. You can keep track of the receipt until the customer return to your store to collect their glasses and pay the remaining balance. 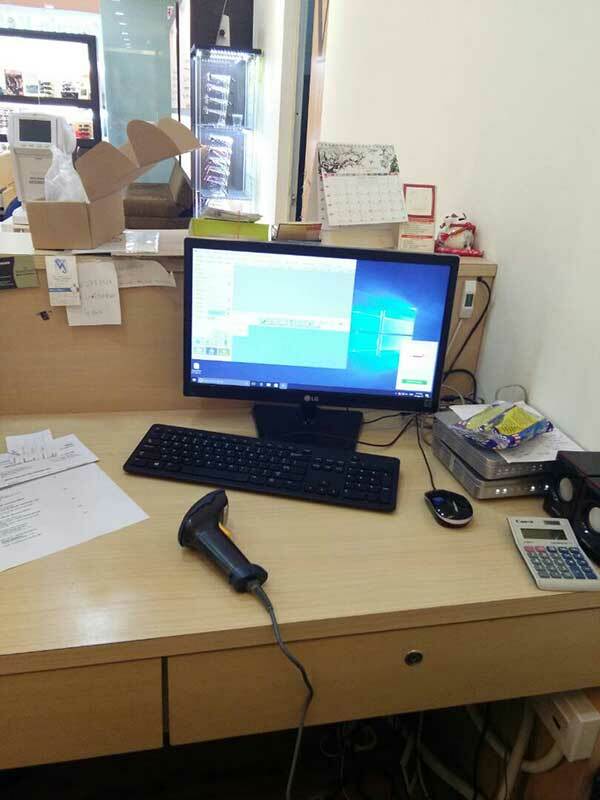 Our BMO POS system Jobsheet for your optical store, helps you to keep the eyes reading for each and every customers of yours for future references. Besides that, you are able to upload up to 4 photos of your customer’s eye diagnosis to the system. These records are easily accessible and are extremely useful when customers return to your store and requires new spectacles. 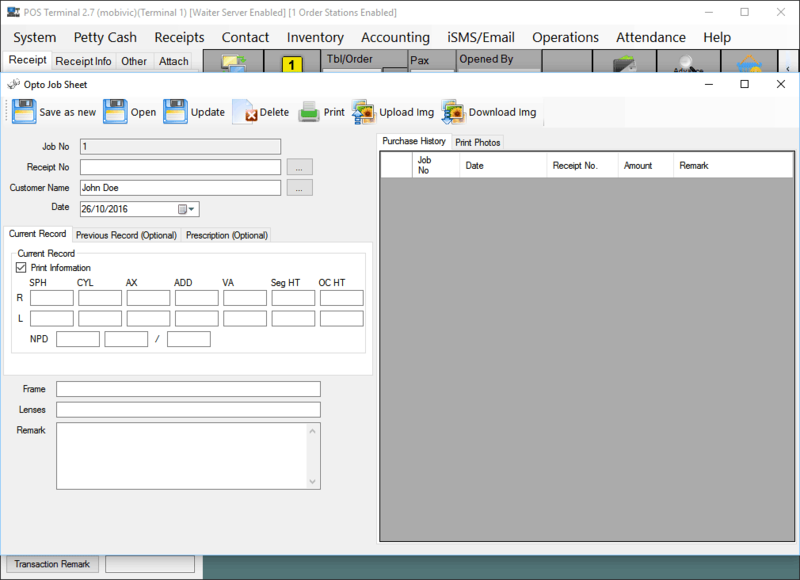 Need SQL Accounting software to improve your business flow? Do have a look on all SQL Accounting modules that benefits your business. 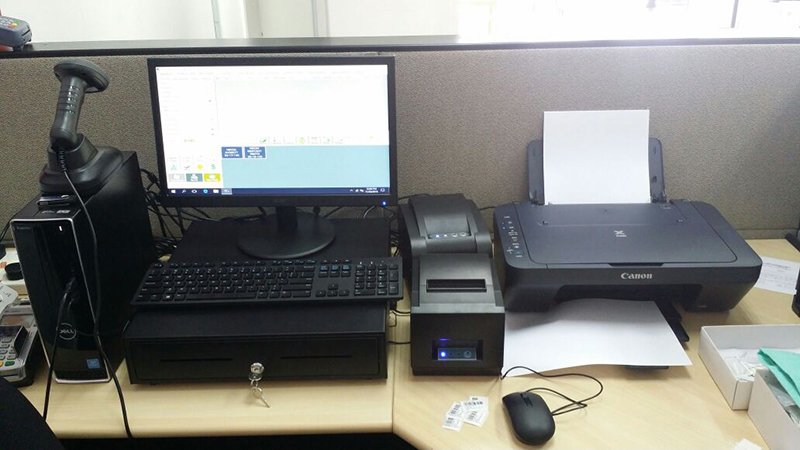 If your outlet need more than one POS terminal, you will need to use client and server setup or cloud based setup. Read about client server setup HERE, read about cloud based setup HERE. We provide 7 days support for your convenience. 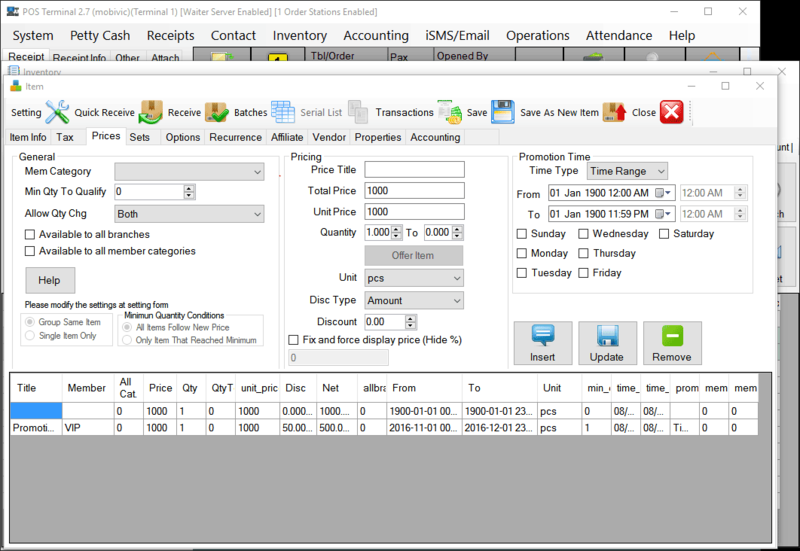 If you have any special requirements for Bizcloud POS System with Optical Store Management System, please do not hesitate to contact us and share with us.